Energy Experts is a new professional designation of Alicia Air Conditioning & Heating. Established in 1980, Alicia Air is Orange County's premier full service, factory authorized Carrier dealer providing comprehensive Carrier sales, installation, maintenance, and repair services to Orange County homeowners at affordable prices. At Alicia Air, our knowledgeable, NATE certified, factory-trained technicians are able to service and repair all major brands of heating, cooling, and ventilation systems, and have done so for thousands of satisfied clients throughout Orange County and the surrounding areas during our over three decades in business. And now, Alicia Air is proud to add the designation of Carrier Certified Energy Expert to our extensive list of professional credentials. As a Carrier Certified Energy Expert, we take a whole home, "house-as-a-system" approach to residential HVAC (heating, ventilation, and air conditioning) systems, taking into account several factors before performing our exceptional quality HVAC system installation, maintenance, and repair services. 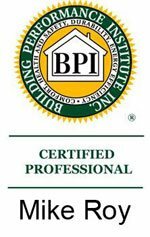 As a Carrier Certified Energy Expert, we are qualified to perform a comprehensive Carrier 360° Whole Home Energy Audit, during which we evaluate several crucial factors to residential heating, cooling, and ventilation system efficiency, such as the insulating value of the home's thermal envelope (formed by its outer walls, ceiling, doors, and windows); the condition and efficiency of its existing furnace, heater, heat pump, air conditioner, and ventilation systems; the condition and efficiency of the home's ductwork system; and any indoor air quality concerns of the home's occupants. In our commitment to this approach, the Energy Experts at Alicia Air seek to provide the optimal heating, cooling, and ventilation solutions for our valued residential clients, solutions which take into account not only their year round comfort level, but also their health and wellbeing, as well as their concerns with saving as much money as possible on their monthly energy bills. At Energy Experts (Alicia Air Conditioning), providing excellent customer service is very important to us, and we work closely with the homeowners we serve to resolve their heating, cooling, and ventilation needs in the most efficient, cost-effective manner possible. We are a family owned and operated company, and have provided full service HVAC sales, installation, maintenance, and repair services throughout our Orange County service area for over 30 years. Trust the experienced professionals at Energy Experts to resolve any home HVAC system issues you may be experiencing. Call us today. 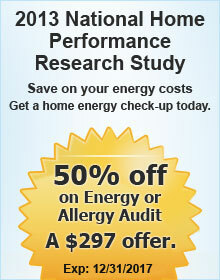 Energy Experts is a designation of Alicia Air, and is licensed, bonded, and insured.